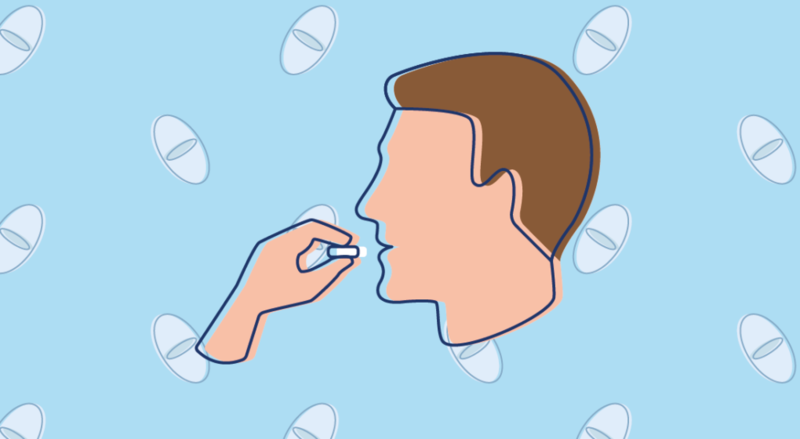 Have you been prescribed a sublingual tablet but you’re not quite sure how to use it? Read on to find out what a sublingual tablet is, why you might need it and how you can take the tablet sublingually. What is a sublingual tablet? A sublingual tablet looks just like any other tablet in the medicine cabinet, but the difference lies in how you use it. Rather than swallowing the tablet, you put it underneath your tongue to dissolve there, where it can be absorbed straight into your bloodstream. As it is used in a different way to ordinary oral tablets, a sublingual tablet is made in a different way to match its purpose. The most obvious difference is the how easily the tablet dissolves. A sublingual tablet dissolves more quickly than usual so that the drug can be readily absorbed into your bloodstream. Because of this, it can also disintegrate more easily than other tablets, so you should be more careful in the way that you store a sublingual tablet (more on this below). Why can’t you swallow it? Most tablets that you take need to be swallowed – why can’t you just do the same with a sublingual tablet? Each drug is dissolved in the stomach, absorbed into the bloodstream and metabolized in the liver to a different extent. Some drugs do this very well so that almost all of it has an action on the body, known as good bioavailability. Other drugs are not dissolved or absorbed very well, or completely metabolized in the liver, so that the drug has a poor bioavailability. For drugs with a poor bioavailability, taking the medication by swallowing the medication is not very effective. We need to find another way to deliver the drug into the bloodstream. A sublingual tablet is a good option for this. It is simpler and safer than other options, such as an injection, and can get the drug into your bloodstream without needing to be absorbed from the stomach or passing through the liver. 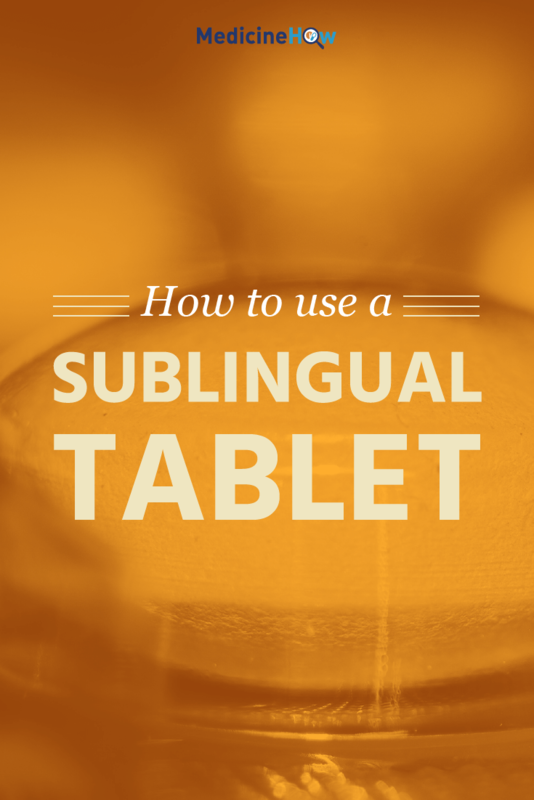 Taking a tablet sublingually is quite easy once you know how to do it. This quick guide should give you enough information to get started. Make sure you are sitting upright to help prevent accidental swallowing of the tablet. 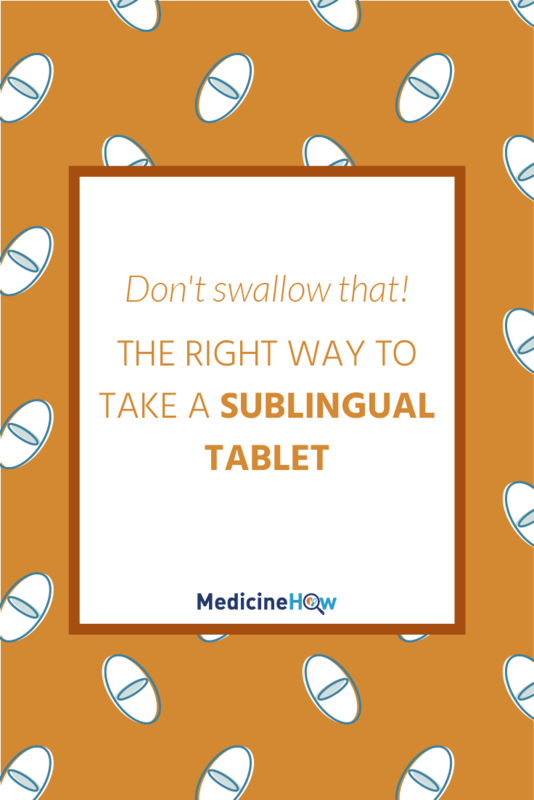 Place the sublingual tablet under your tongue, on either side of the frenulum. How the tablet underneath your tongue for the prescribed duration of time, keeping your mouth closed. Wait for several minutes before eating or drinking, as this may affect the absorption of the drug. 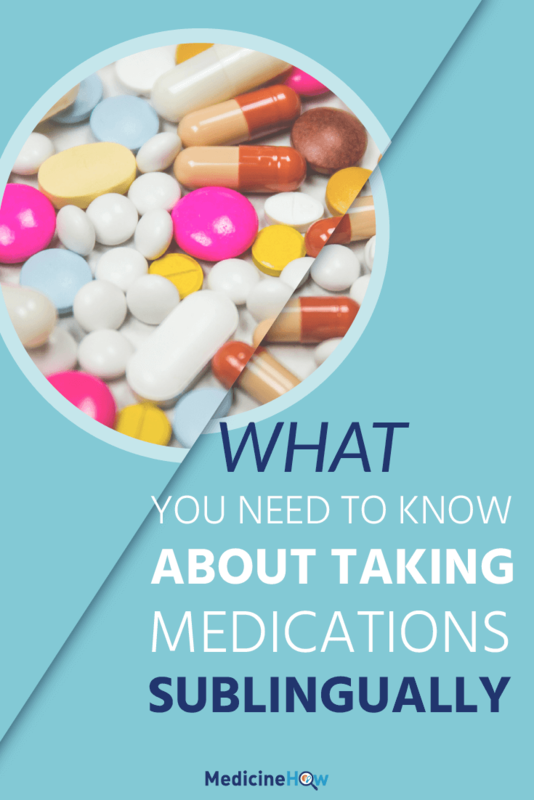 If you have been prescribed a sublingual tablet to take, here are a few extra notes that you might find useful in how to use them correctly. Avoid eating or drinking while waiting for the tablet to dissolve, as this may cause you to swallow some of the active ingredient. Avoid smoking for at least one hour taking a sublingual tablet, as this can tighten the tiny blood vessels in your mouth, making it more difficult for them to absorb the drug underneath your tongue. Sublingual tablets are not usually prescribed for long-term, continuous use, as they can cause irritation in the mouth and ulcers. The most common drug taken sublingually is nitroglycerin, which is used to relieve the symptoms of angina. This is because nitroglycerin has a poor bioavailability if you swallow it as an oral medication and because it works very quickly for symptom relief when taken sublingually. Angina is a condition that involves severe pain in the chest due to inadequate blood flow to the heart. Nitroglycerin works by providing a source of nitric oxide to the body, which has a relaxing effect on the muscles surrounding the blood vessels, allowing the vessels to expand and blood to pass through more easily. Sublingual nitroglycerin is used for quick symptoms relief. The effects start showing within 5 minutes and can last for up to 20 minutes. It is not always necessary to wait for the tablet to dissolve completely under the tongue if the symptoms of chest pain are already starting to improve. The tablet can be removed or swallowed when a sufficient dose has already been taken, as the swallowed tablet will not have an effect. If you have any other questions about sublingual tablets and how to use them, just let me know and I will try to help. You can leave a comment below or contact me via email from the contact tab at the top of this page.